After a little additional thought, I discovered that my Death Spiral Warning Graph post can be improved through the isolation of the expected inflation component of US 10y yields provided by the US 10y yield – US 10y TIP yield. 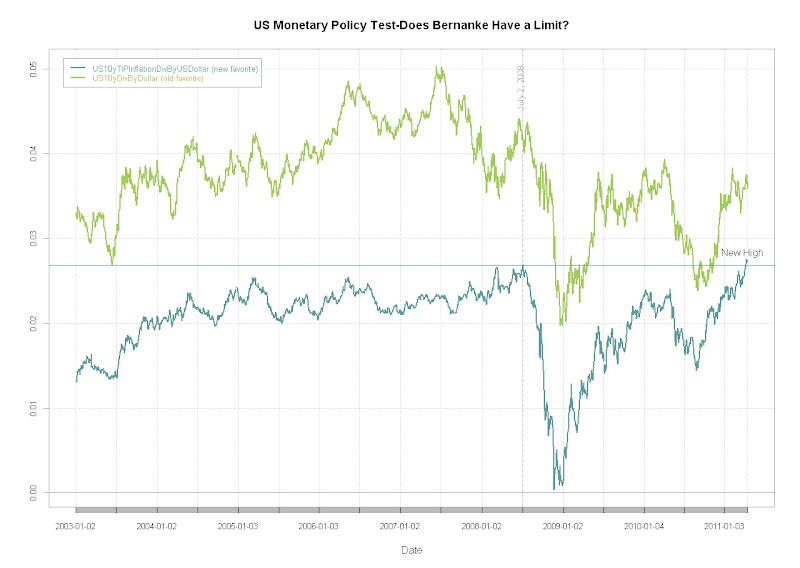 Unfortunately, it more accurately reveals the cost of aggressive US Fed monetary policy, and I think offers a more dire assessment of the limits of this policy. The gains we have experienced seem much more transitory and spurious than a simple chart of the S&P 500 reveals. I am struggling to understand why there would be NA in the index. Unfortunately I am of no help right now, but I will keep thinking about it to figure it out. Thanks so much for reading though, and hopefully, I can get an answer.